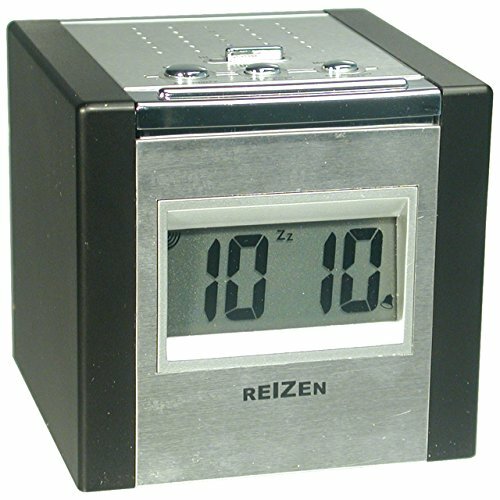 Reizen Talking LCD Alarm Cube Clock - Silver and Black - Reizen Cube LCD Talking Alarm Clock with silver body and black panel has a soft green back-light display for those with low vision. This talking alarm clock features 3 alarm sounds: Rooster, steady beeps, cuckoo hourly announcement. Large snooze/light/talk button. High low volume time announcement. Top speaker. Requires 2 AA batteries (not included). Time display is 3/4 inch high.